Photo: Shinsaku. Creative Commons BY-NC-SA (cropped). Do you need your cup of coffee every morning, no matter the price? 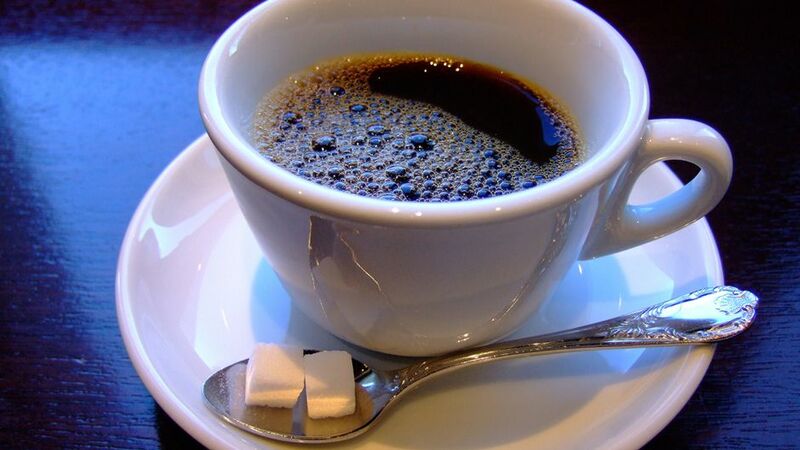 Prepare for a shock: the cost of your caffeine fix is likely to be going up. Changes in climate in key coffee-growing regions are an important factor driving a surge on world markets. In recent days Arabica coffee beans — by far the most popular variety of coffee — have been fetching around US$2 per pound on the world market. That’s nearly double the price of a year ago. Several factors seem to be driving the market upwards: in Central America, a significant production area, an outbreak of a disease called leaf rust — believed to be linked to changes in climate — has severely damaged the crop. A prolonged period of drought and some unseasonably cold weather in Vietnam — now the world’s second biggest coffee-producer — has cut back crop forecasts for robusta beans, mainly used for instant coffee. A lack of rain has also hit coffee-producing areas in East Africa. Arabica coffee beans have been fetching around US$2 per pound on the world market — nearly double the price of a year ago. But it’s climate-related events in Brazil, the world’s biggest coffee grower — responsible for about 40 percent of global production — which seem to be causing the most froth amongst international market traders. Minas Gerais state, in the southeast of Brazil, produces about 25 percent of the country’s coffee crop. Rainfall during December, January and February — the usual period of most precipitation — was about 10 percent of normal, while temperatures rose well above average. Events in Minas Gerais over recent months have been exceptional, says C&C, with parts of the state experiencing mean maximum temperatures in January of between 3°C and 4°C above the long-term average. The result has been a disaster for many coffee growers. Without adequate water, berries have dried or have become so-called floaters — virtually empty husks. In recent weeks the rains have arrived in the form of torrential downpours: that might do more harm than good with the harvest fast approaching, though coffee farmers are still hoping for a last-minute turnaround in fortunes. Commodity experts say there’s likely to be a drop of up to 35 percent in Minas Gerais production this year — and an overall drop of 18 percent percent in Brazil’s output of Arabica beans. As global demand for coffee has surged over recent years, farmers have rushed to plant more coffee trees. It is these young trees which are most susceptible to water shortages. Coffee farmers and traders are also concerned that the quality, as well as the quantity, of the crop might be affected by the adverse weather. The pattern of Brazil’s climate has been undergoing considerable change in recent years. A 2013 NASA-led study says the drought rate in Amazonia over the past decade is unprecedented over the past century. The study also suggests that the effect of what scientists call a mega-drought in 2005 in an area of Amazon rainforest twice the size of California is far more serious than previously thought, with indications that the forest is taking many years to recover. There are signs that speculators are piling into the market, anxious not to miss out on what could be a big step up in prices. The fear is that drought conditions — and increasingly volatile weather patterns — will hit a large part of Brazil, one of the world’s major agricultural producers. In its latest report the Intergovernmental Panel on Climate Change says coffee production is likely to decrease worldwide as temperatures rise. One possible bright spot for coffee drinkers is that prices are unlikely to rise this year — or by not much, at least. Most of the big coffee houses tend to buy on what’s called the futures market — locking in a set price for their goods, often for years in advance. Traders are also holding large stockpiles of beans after a bumper harvest last year. But there are signs that speculators are piling into the market, anxious not to miss out on what could be a big step up in prices. So the advice is — drink that coffee now. Don’t wait any longer.